Mr. Phillips is a member of the firm’s First Amendment and Religious Organizations section. 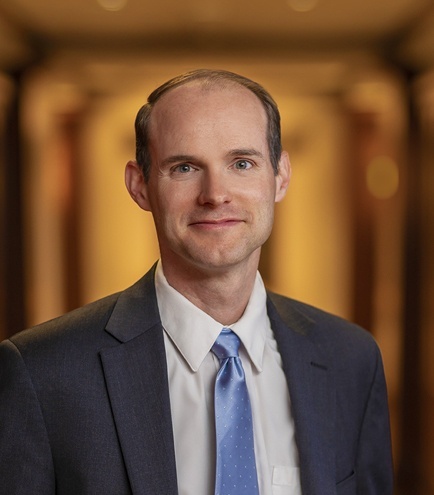 He has trial and appellate litigation briefing experience in state and federal courts across the country, having previously worked for a public interest law firm that focuses on religious liberty, as well as a U.S. Supreme Court and appellate specialist. Mr. Phillips was also a visiting assistant professor at Brigham Young University’s J. Reuben Clark School of Law, and has published over two dozen academic articles. He has a Ph.D. in Jurisprudence and Social Policy from UC-Berkeley, and is currently a Nonresident Fellow with the Constitutional Law Center at Stanford Law School and a member of the Executive Committee of the Religious Liberty Practice Group of the Federalist Society.